After two weeks of research which included hours of reading, speaking with hospice care workers, doctors, therapists, priests and family members, we set a meeting with Courtney’s neurologist who has been the lead in this process, since all of her issues stem from her seizures which have been present since she was five weeks old. I had done my job and brought all my research and ideas to this meeting. My Mom came as well. Jerry was stuck in a meeting at the last minute and since his job has only been extended for two weeks, we both felt he needed to not make waves today. So Mama Bear to rescue. We have been with Doctor S for seven years now. He has been a godsend in this process. 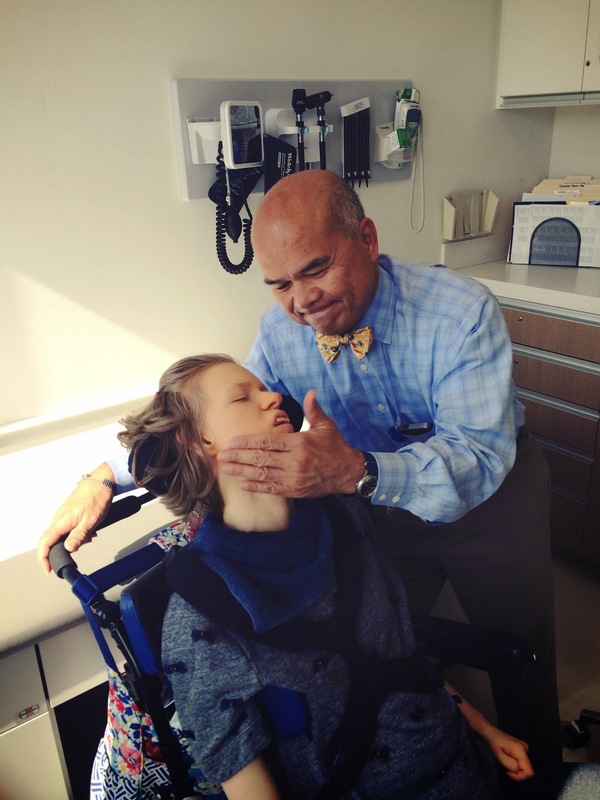 He knows Miss Courtney better than any other health care professional and he has had extensive experience dealing with the disabled population and all that comes with them, including hospice and palliative care. What was so surprising to me in my research was exactly what hospice provides. Most of the services are geared toward patients that are dealing with a fatal illness in the last few months of life. Their families are unprepared to handle all that comes with that care. They are not familiar with what needs to be done so they need assistance. I totally get that. We are not that family. I have been caring for Courtney’s daily needs for twenty-two years. We have respite care workers and personal care helpers in place. Both Jerry and I have spiritual directors and we have sought counseling when needed from time to time. Our son has done so as well. I know Courtney’s daily care needs. I know when she is hurting or hungry, when she doesn’t feel well or if she is having a happy day. I know what to feed her as well as what to dress her in so she doesn’t get uncomfortable. I know her med schedule, how to take her blood pressure and where that pressure should be to be considered “normal”. I know how to take her pulse. I know how to give her a therapeutic massage and what her favorite books and music are. I know many of her PT exercises and what her lungs sound like when she is in trouble. I am not a nurse but I have been chief caregiver and bottle washer for twenty-two years. recognizing the dignity of the human person. We are a team Miss Courtney and I, and a very good one at that. Given ALL of the above, as well as insurance considerations, family and religious preferences, we decided that Miss Courtney will remain at home with us. She will be cared for as she has been, with respect, lots of love and family all around her. She has earned a loving and peaceful death. She will go home to God here in the arms of her Mama and Daddy. Doctor S was so very kind when he assured us this afternoon that we have done EVERYTHING WE CAN. We have tried every therapy, every medication, every experiment available. Miss Courtney’s body is tired and giving out. It’s time to love our girl home to God. He assured us that her care at home has been beyond excellent and he had faith in Jerry and I to continue that very high level of care to the end. She would get no better from someone else. He had tears in his eyes when he said that he would be honored to walk this final journey with us, giving us any type of help and medical back-up that we needed. He will be the head of our palliative care team at GUH and we will be the foot soldiers. He sat with us for quite some time today. He went through everything, what we needed to change to help her as she becomes bedridden, what death will possibly look like for her whether by seizure or by coma, what we do at the end and what each of our roles will be in the process. Being a man of deep faith he also went through what we needed to put in place as far as funeral arrangements and grief counseling. We hugged, he kissed and hugged our Courtney and even hugged Grandma. It was a wonderful, grace filled productive meeting and when we left I had total peace. I mean TOTAL peace that we were doing what is right for our family. God was ever present and I am so grateful for it. We will need to add a different memory foam mattress topper to her bed (which we added to Courtney’s Amazon wish list) to help her bony little bum and back and my Mom and I will change her room around a bit to help with her daily care as well. We will also be tweaking her med schedule and feeding schedule to allow for maximum weight gain/control and seizure control. We have selected her casket and will pay for it when the time comes since there is no cash on hand to do so now. We know her Mass will be at St Mary of Sorrows, where we have worshiped and our daughter has been loved for sixteen years. We will be sitting down with our Deacon and a representative from the church to go over her funeral Mass details in the coming weeks so that when the emotions overwhelm us, we have a plan in place. Jerry really wants bagpipes for her when she leaves the church so we will have to figure that out as well. That’s where we are tonight. I have to admit I am a bit surprised but we are all OK. We really are. Jerry and I have dedicated most of the last twenty-two years to caring for our daughter and as her needs changed so did our care plan. This is no different. We have Jonathan here to be a part of this journey which is so important. We love our girl with all we have. She is a fighter and will fight until her last breath,I have no doubt about that. It’s genetically encoded in all Green’s and Lenaburg’s. We are a fighting people. Wether she dies in three months, six months or nine, God is in control. We will leave room for a miracle, always. We will continue to care for her and love her as we have taking into account here current needs. As they change, we will adjust. God will decide when our daughter goes home to Him. Until then love always wins. We ask for you continued prayer support. These prayers sustain us daily. They get us through the long nights and hard moments when our girl fights for breath during a seizure or fights her way through an infection or virus. Know that we appreciate everything that God is doing for us right now, most especially moving peoples hearts to help us in practical ways. We have been love bombed by our mailman and the UPS guy. You all are so very kind. If you feel called to donate to the PayPal or the GoFundMe accounts to assist in paying off her medical debt, we thank you from the bottom of our hearts. If you blog or tweet or gram and wish to share our daughters story to assist in the fundraising, you have our permission to do so. Whatever you are moved to do, we appreciate. We truly do. I have been asked repeatedly what can be done to ease MY daily burden. The only thing I can come up with besides dark chocolate and coffee, is help with dinner time. If you feel moved to help with meals but live too far away to do so, we had friends point out that you can order frozen food from QVC or another vendor to send through the mail. If you live locally, we will be setting up a schedule in the near future to assist. I will let you know when. We know we are not alone in this journey. Our daughter has touched many, many hearts over the years and her work here is not yet done. We trust completely in God’s plan for our daughter and our family. We know his generosity can never be outdone. Never. We will walk this path before us praying daily for the grace and mercy to face what will come. It will come as we need it. God promised us this from the beginning. Courtney Elizabeth is only ours for a little while. She belongs to God for an eternity. He has not finished writing her story. He has one hell of a happy ending in store for her. I just know it. Many blessings, many prayers. Your sweet girl is going to be a saint. She is indeed Michelle! God is so very good! Bagpipes! What a wonderful idea! Such a strong and encouraging sound. I hope you can sort that one. Thank you Mary for sharing all this. We keep praying for your strength each day and for Courtney's continued courage on her journey. Thanks again for giving us ways to help practically when we live far away, but we are very close in spirit. 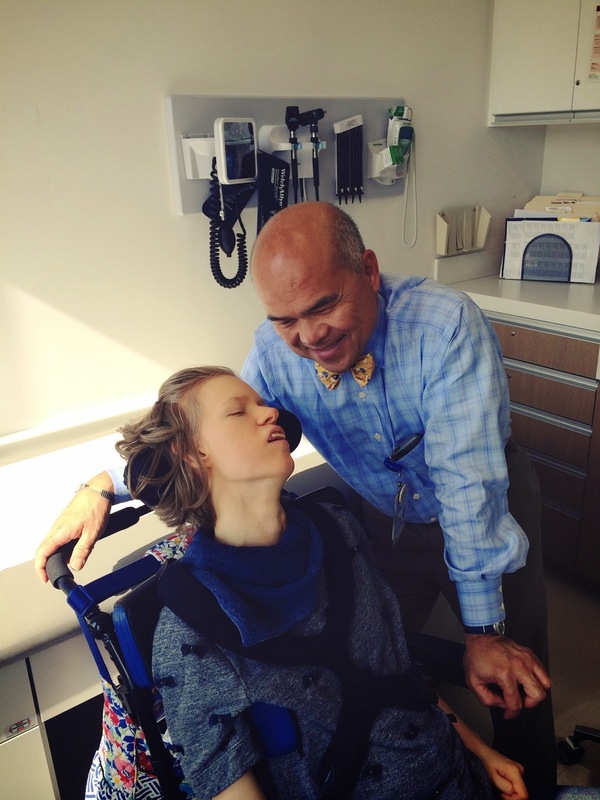 Continued prayers and love from Indiana…what a good and compassionate doctor you are blessed with. Continued prayers for you all. I've only recently found your blog, and I'm not even sure if I've ever commented before, but wanted you to know that I think of you, Courtney, and your family so very often. Thank you for continuing to share your story. And thank you for showing how to graciously accept help from others. Allowing others to help is not only a blessing to you all, but to them as well, and I always struggle to ask and accept help, but I truly love to help others. So, thank you for being an example. Hugs and prayers! Wonderful!! You are the ONE that needs to be skin to skin with this girl!!! Wow you and your husband and son have and will do a heroic job for your sweetie… Pennies in heaven for you and her… Praying really hard for strength , energy but above all peace.. For the journey…. Continued prayers form the Midwest. Your beautiful post brought tears to my eyes. 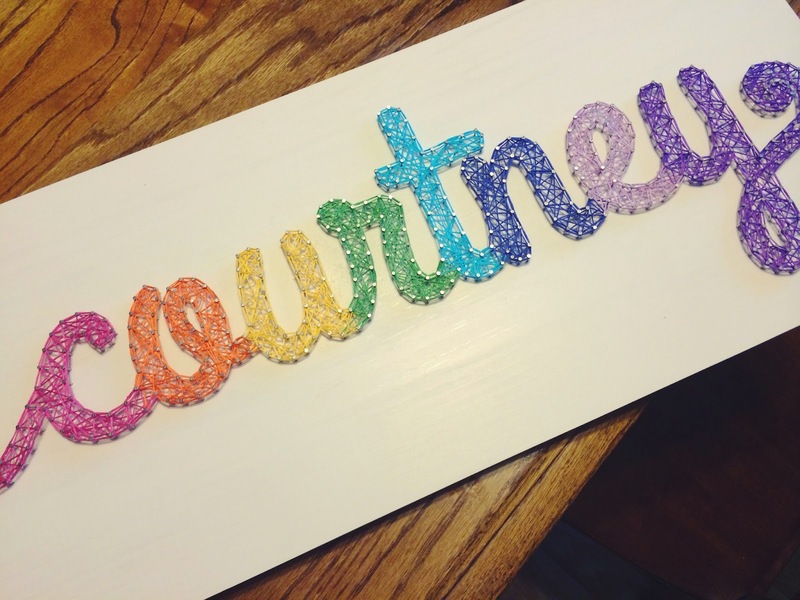 Courtney's life has touched far more people than I am sure you could even know. The first time I found your blog was when one of my kids was hospitalized numerous times in one month for something we never figured out – but thank God disappeared. We've had 2 other kids hospitalized since, and although neither of them was life threatening – just scary, I was always brought to peace thinking about your family. I will continue to do so both while Courtney is on earth and in heaven. I pray for your continued strength and peace as your emotions go through extremes. 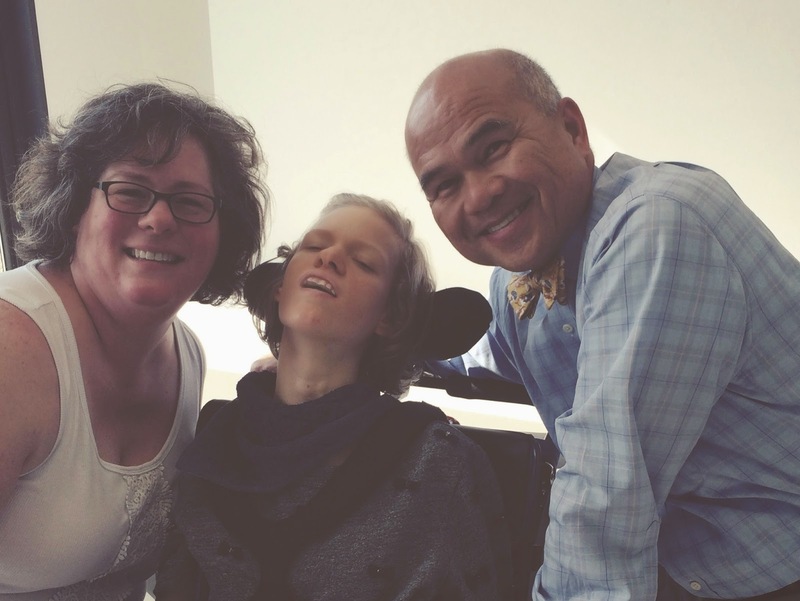 Courtney is blessed to be born into your family – and based on her smiles – looks like she knows it! As I previous memtioned, I'm from Jerry's hometown and know his patents- small world! I read you lil blog each day and pray for guidance and strength for y'all each day. May The Lord continue to wrap his love around you each second if the day!